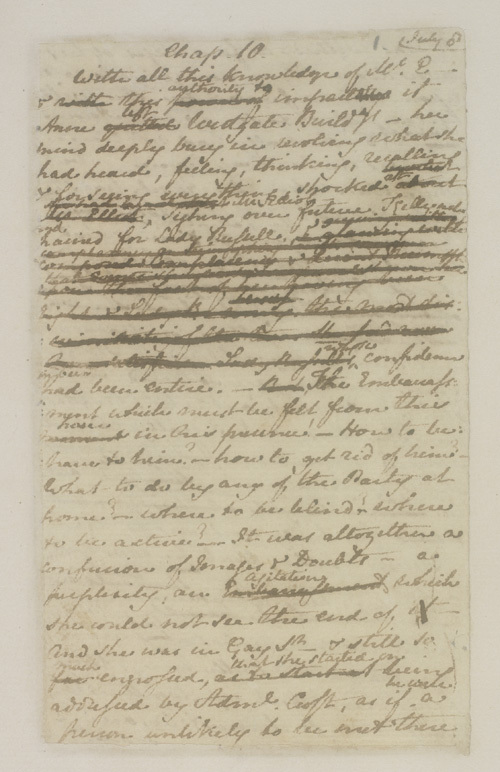 So yes, Professor Kathryn Sutherland, of Oxford University, reveals that Jane revised her manuscripts, as evident on this image. Imagine that! Professor Sutherland further discloses that Jane’s publishers also edited her books for spelling and grammatical errors. Well, this is the case for most novelists, this one included. Some scenes in my own novels have been rewritten dozens of times, though only my laptop can bear witness to my travails. My publisher provided me with editors and copy editors, all of whom, as their titles indicate, edited my novels. I never believed I was alone in this situation, nor did it make me think that the style of my works was not mine. Others, like James Collins in this Wall Street Journal piece, consider Austen a moral guide for the 21st century. Certainly Jane Austen makes us reflect about issues of morality, money and social conventions, but why should we assume that she, any more than any other novelist, strictly espoused the views, likes and dislikes of her protagonists? Jane wrote fiction, not sermons. Unlike Fanny Price, she enjoyed family theatricals, and, to my knowledge, no Austen family members eloped as a result thereof. What would Jane do? Probably get a good laugh at much of what is written about her nowadays.